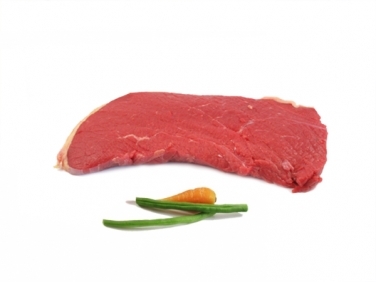 While traditionally used for stews and casseroles, our Round Steak prepared together with peppers and onions is a fantastic, slow-cooked way to prepare this cut of beef. Pour the gorgeous gravy over mashed potatoes for a simple, tasty meal. 100% pure Angus beef, aged for deep rich flavour and carefully cut into steaks by our very own master butchers.